Uncategorized | The Happy Wonderer ~ ellen b.
I’m having fun with this program and my photos. The photos are from our dinner on Friday night with our Northeastern Washington family. We had a full day on Friday. Thanking God for a safe trip to Spokane and back again. Later this weekend I’ll share some collages and photos from our trip to Spokane and the belated Valentine meal we had at our country bungalow on Friday evening. We had more snow, too, and while I was looking at the new snow landscape in our backyard I spotted this snow creature created by nature. Hope you enjoyed the special effects and that you smiled. We had safe travels over Snoqualmie Pass and beyond yesterday. So thankful for that. 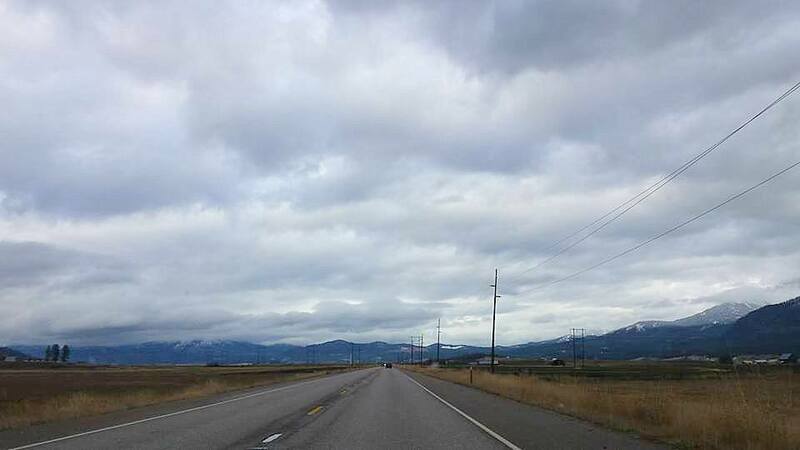 We are now in the land of big sky and no traffic! We already enjoyed lots of good cuddles with Addy and some new vocalizing that’s a hoot. Lovella from Mennonite Girls Can Cook with the help of her son put together this video explaining what Mennonite Girls Can Cook do and where 100% of our author royalties go. This video was created as a promo to a play that was written bearing our name and being performed as a musical this year in 3 different Blue Gate venues in Indiana, Ohio and Pennsylvania. The musical is fun and entertaining but didn’t represent what our mission has been and it is nice to shed some light on the real Mennonite Girls Can Cook with this video. Our talented Lovella has again done a fine job of representing all of us girls. I’m thankful to God for being included as their American cousin and being part of this giving group of Canadian “girls”. 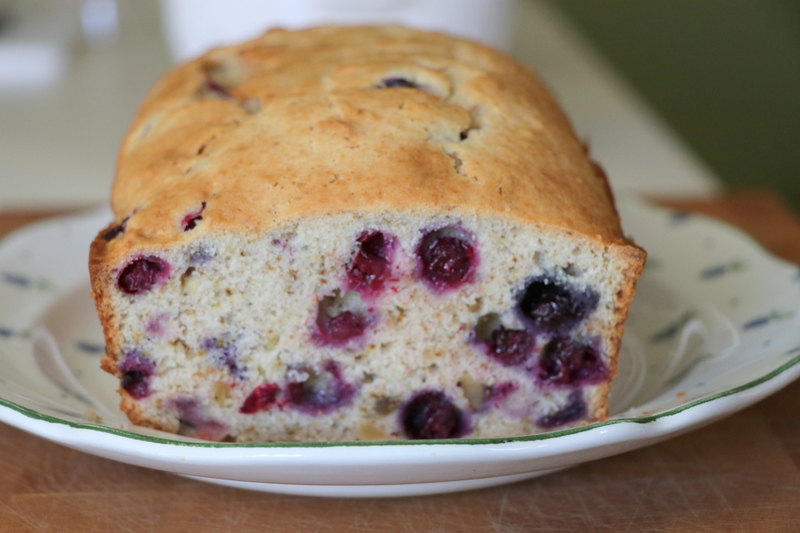 Head on over to Mennonite Girls Can Cook to get the recipe for this Banana Blueberry Bread. I’m still a busy bee with my company. I’ll have some catching up to do later this week. We are dry and warm in the Seattle area. 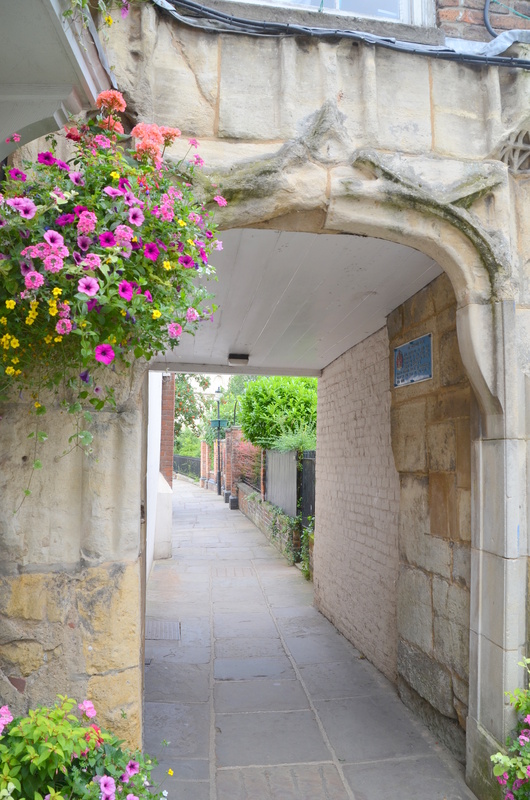 Hope all is well with all of you on this very last day of July. 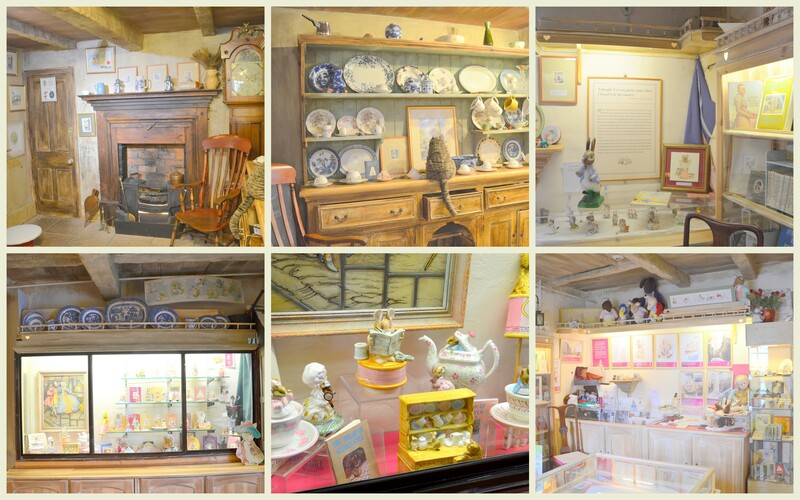 On July 28th in 1866 Helen Beatrix Potter was born. She lived to be 77 years old. 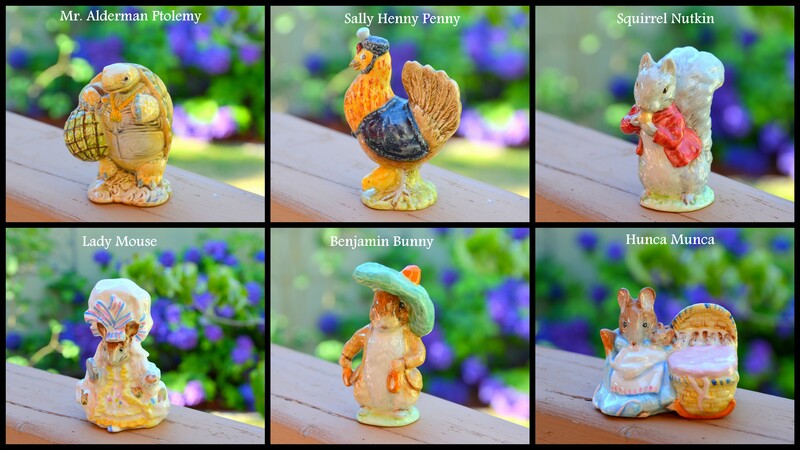 I bought most of the figurines in England in 1973 and 1974. 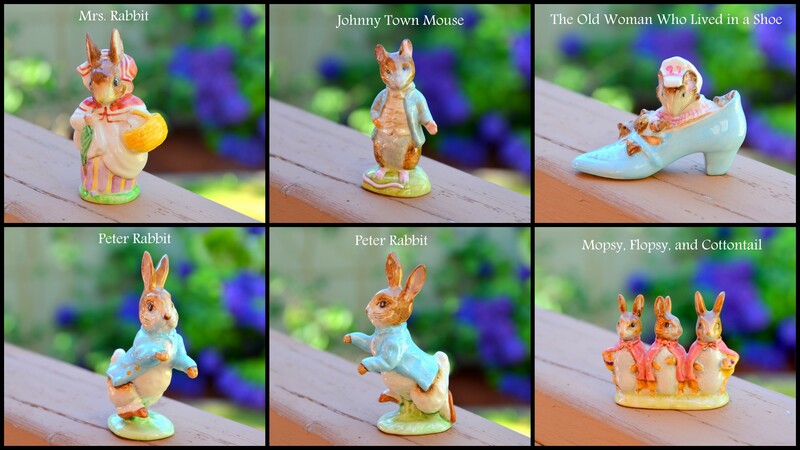 This little rabbit made her famous with The Tale of Peter Rabbit. 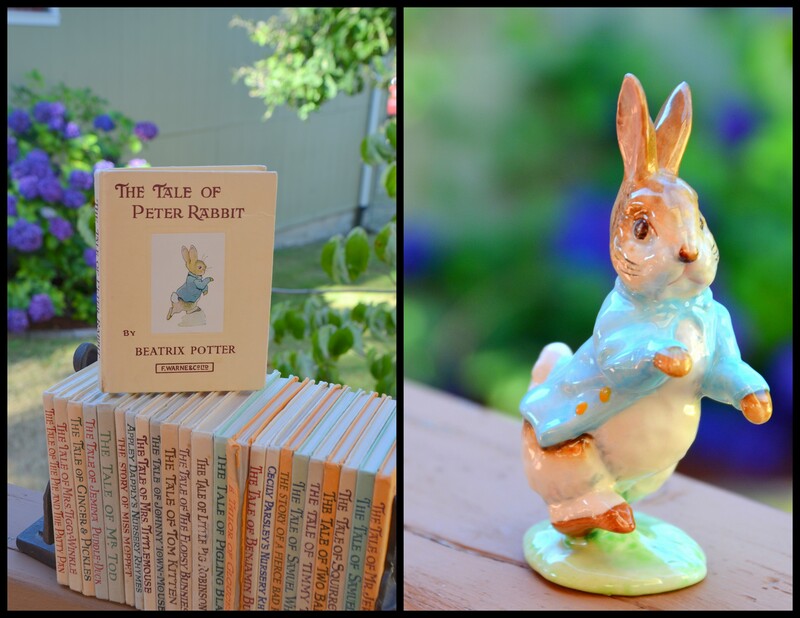 I started my Beatrix Potter Collection in the summer of 1973 while touring England. 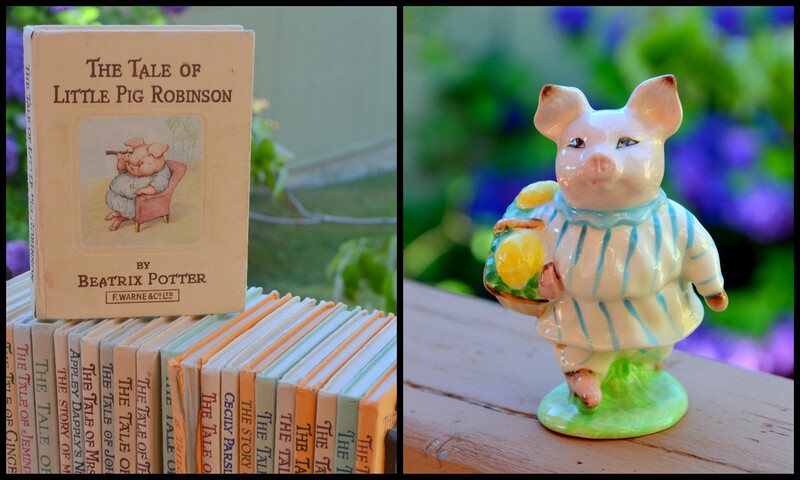 I bought the Biography The Tale of Beatrix Potter by Margaret Lane in Oxford July of 1974. 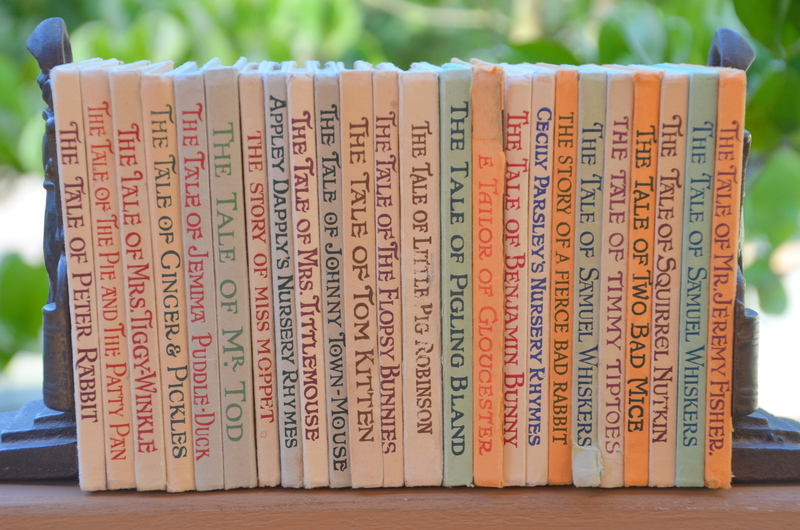 Dear and I bought two full sets of Beatrix Potter Story Collection at Foyle’s in London and had them shipped home to us. 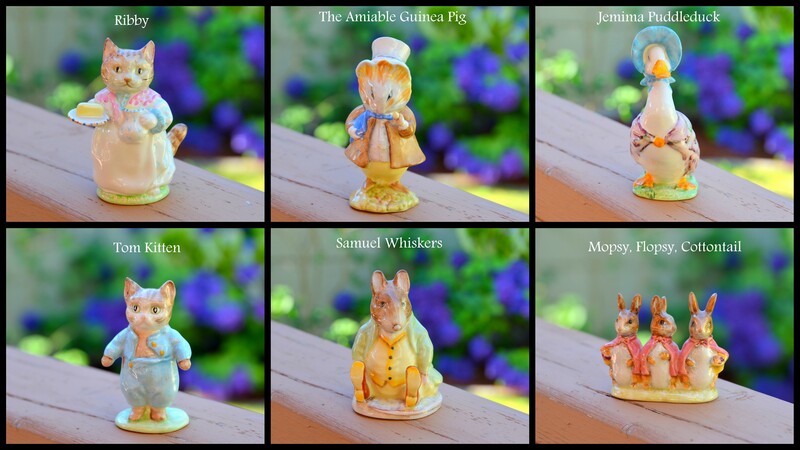 One set for us and one set for our first niece born in 1973, Jenna. 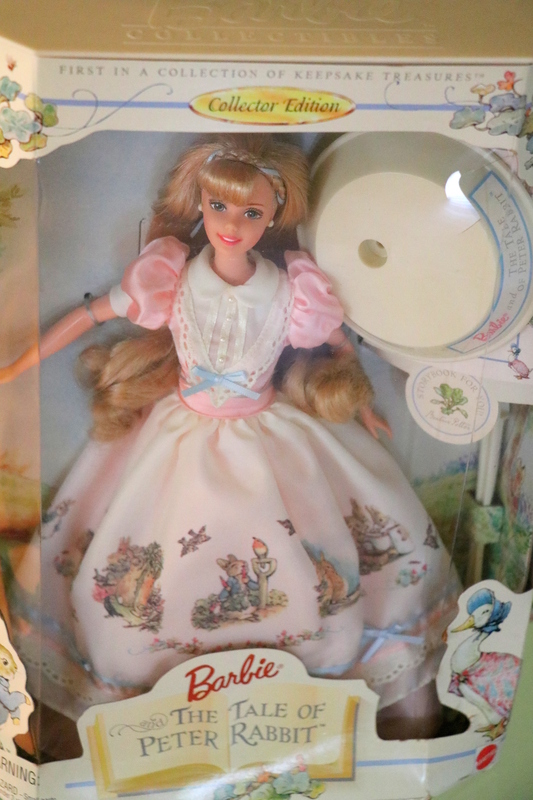 I suppose technically she wasn’t my niece until Dear and I were married in December of 1974. You can see our set is well used and loved. 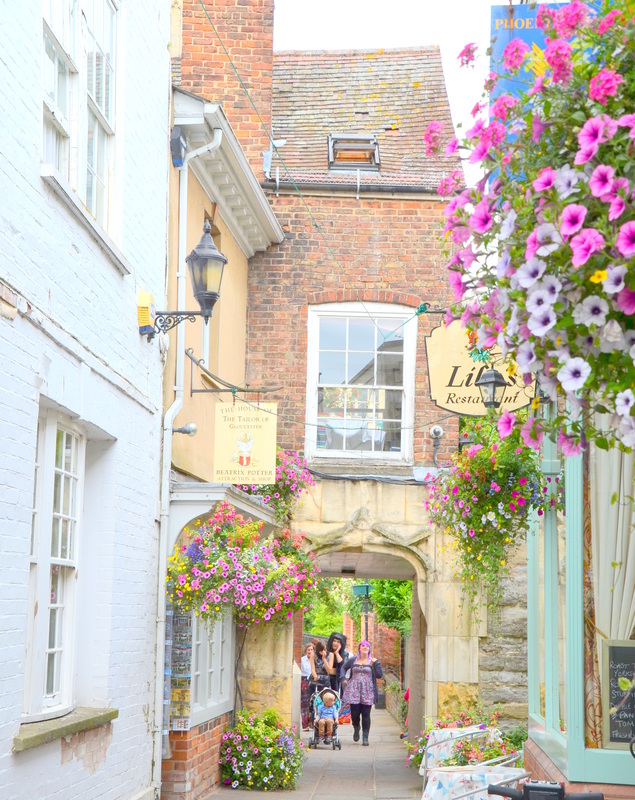 In the summer of 2014, Dear and I made a 40th anniversary trip to England and on this trip we spent an afternoon in Gloucester and of course had to visit this sweet shop close to Gloucester Cathedral. 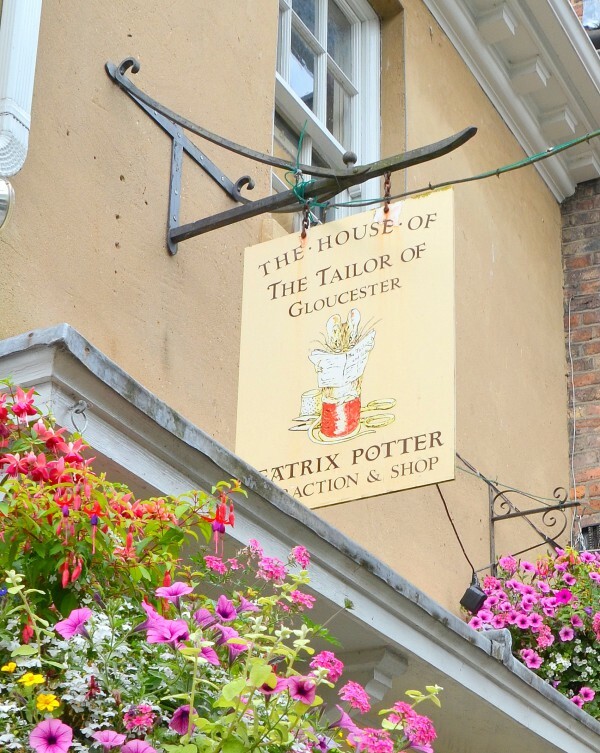 We knew about this shop in Gloucester and were determined to visit it while we were in Gloucester 41 years after I started my collection. 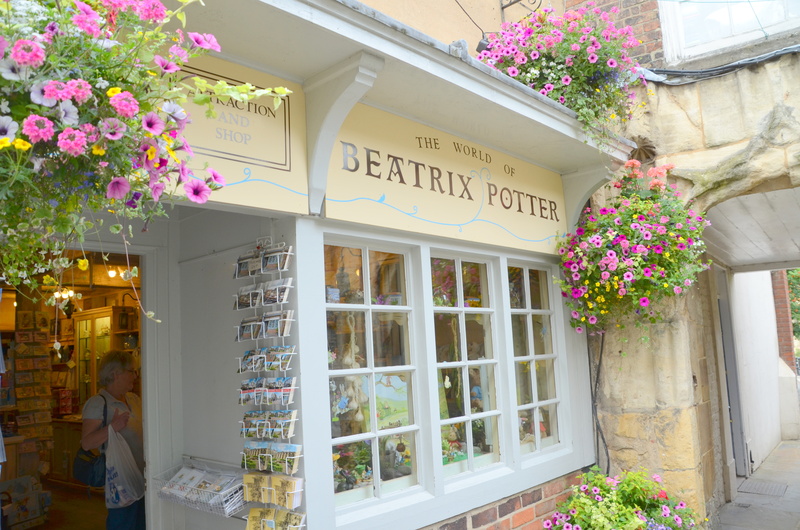 There are lots of shops relating to Beatrix Potter and Peter Rabbit in England. This shop had a lot of fun displays filled with memorabilia. 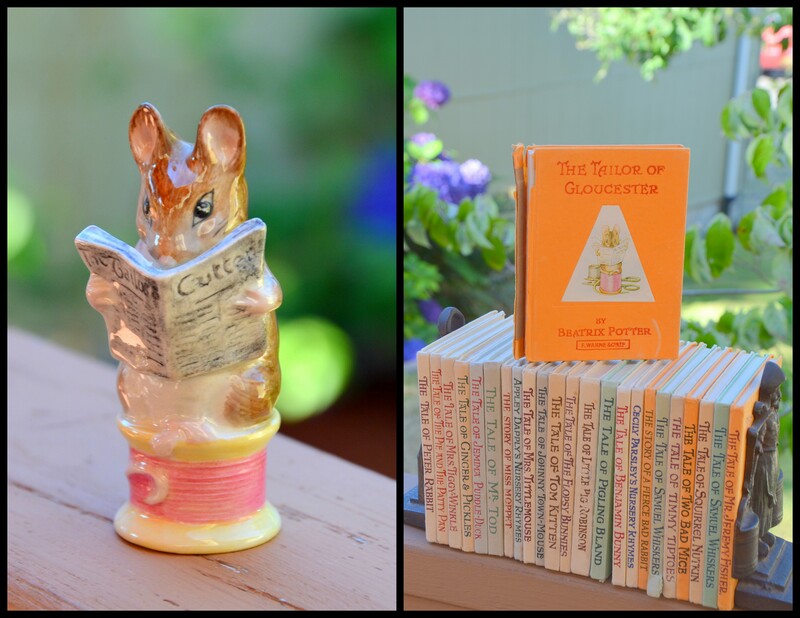 I’ve enjoyed all these books about Beatrix Potter. The latest book I received was from Josh and Laura, Beatrix Potter’s Gardening Life. 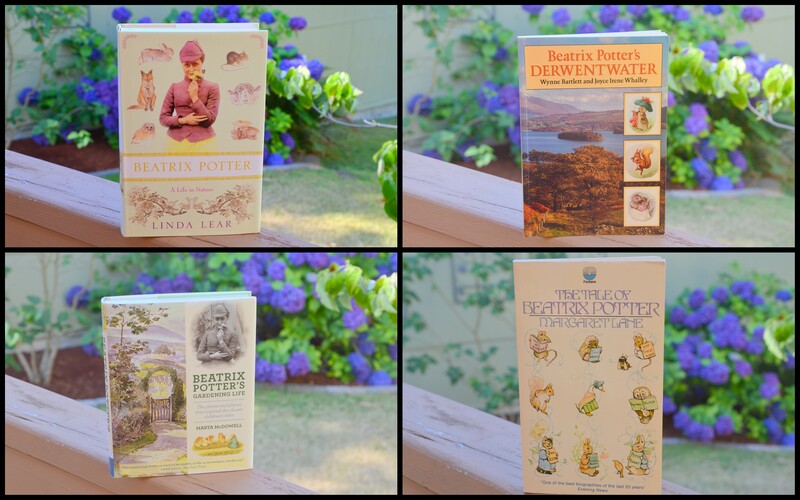 The book on Beatrix Potter’s Derwentwater was a great resource for a walking trip we took with good friends in 2006 staying at a farm on the Derwentwater for a few days during our time in Great Britain. So sad that while we were in the Lake District we didn’t visit Hilltop! Maybe on a future trip we’ll take the time to visit. 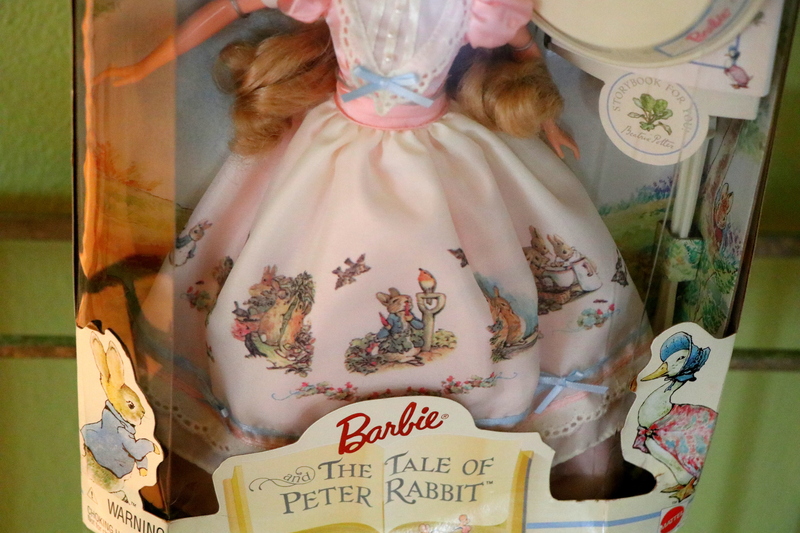 Soon we’ll be able to read some of Beatrix Potter’s stories to our little Addy. 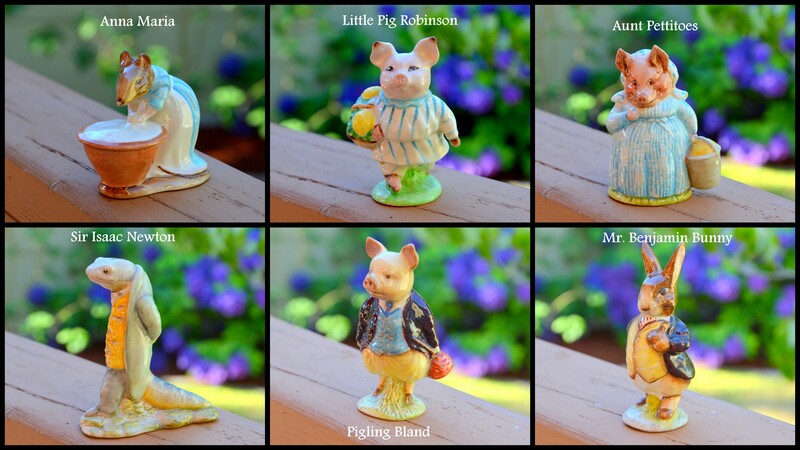 I copied and pasted this post from earlier in honor of all things Beatrix Potter that I so enjoy. 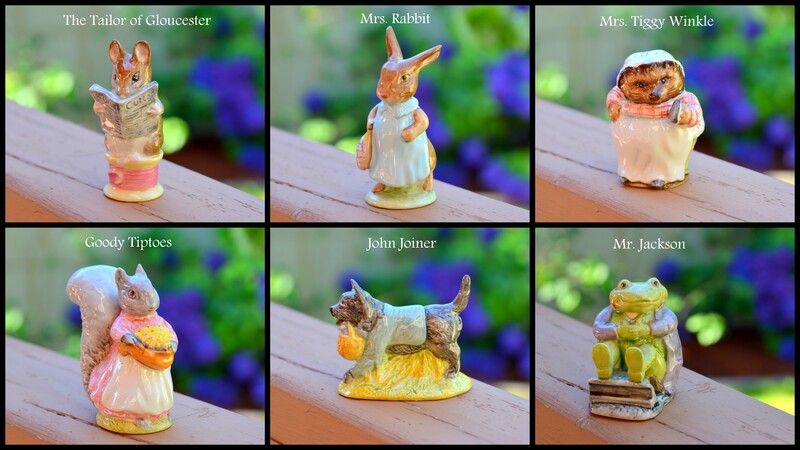 This was my latest Beatrix Potter find a month or so ago. 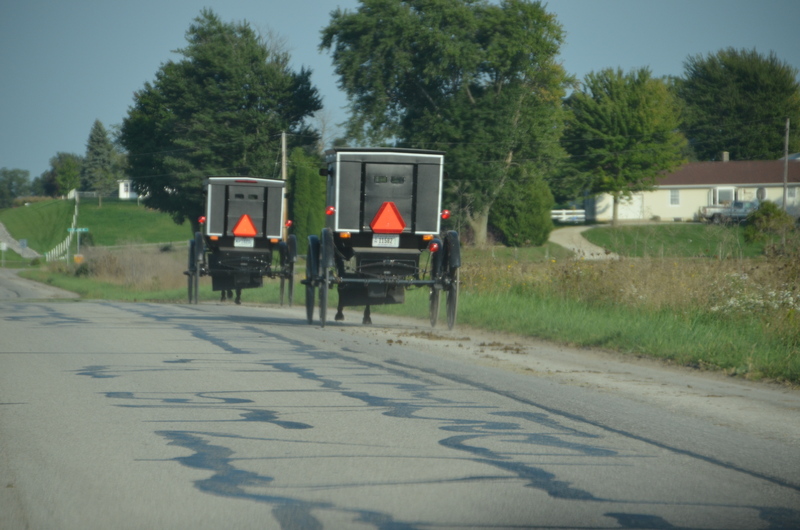 We’re still in Amish/Mennonite country where the uploads are slow and the people are friendly. I have lots to share when we get home again.